Personal aside: Geek Girl was one of those books I looked at and thought “not for me”. I saw all the raving reviews, saw it in shops everywhere, had people tell me how awesome it was and still I thought Not For Me. Then I met Holly, briefly, at a launch party a few months ago. She told me she liked my satchel (even though hers is a much nicer colour and has her initials stamped on it) and I thought “oh she’s really nice (and also very pretty) maybe I should actually read her book?” Then, the next day, it was the Kindle Daily Deal and I am not one to mess with Fate (even though I don’t *actually* believe that Fate exists) and so I bought it and I read it and I laughed at it and I loved it. And I really need to stop with this Not For Me thing because I KEEP being proved wrong and I both love and hate that. Geek Girl is one of the funniest books I have read in ages. I was reminded of reading the Georgia Nicholson books as a teenager and having my sister tell me off for keeping her awake at night from laughing. I know that Geek Girl would get the same response. It was one of those books I couldn’t read on the tube, I had to save for when I was at home, because I knew I would laugh and totally embarrass myself in front of stoic morning commuters. Harriet is the sort of character you can’t help but love. You have those “oh, Harriet” moments, where she does or says something and you kinda facepalm yourself like “whyyyyyyyyy” but she is just so completely loveable. She is sweet and funny and slightly immature and naïve and yes, very, very geeky. I loved all the little facts and lists and asides in the book that helped to build Harriet’s character and add to the overall quirky charm of the book. All the characters are well-developed and diverse and very, very witty. I think Wilbur was my favourite. Him and my boyfriend should get together to exchange ridiculous pet names. I really liked the strong family presence in this book; especially the relationship between Harriet and her stepmother Annabel which was healthy and sweet and caring. It was nice to have a positive portrayal of a stepmother/daughter relationship. Friendship is another major theme in this book: not only the importance of it, but how fragile and easily broken it can be, yet also how easily it can be mended. These are probably two of the most important aspects of the book which I liked because as a teenager, they are two of the biggest aspects of your life. The other major theme of Geek Girl, for me, was identity. In terms of self-identity, of how others see you, of how different people can see the same person in completely opposite ways. Figuring out who you are and how you want to be and feel and think is a really central aspect of being a teenager and I felt that Holly Smale really nailed that. I totally bought Harriet thinking that becoming a model would completely revolutionise her life: would make her cool and sassy and popular and admired, because haven’t we all thought that at some point during our teen years? I felt like Geek Girl was saying that no matter what, you are you and some people won’t like that, but as long as you’re happy with yourself and as long as you have people who love you, that’s totally okay. I think that’s an important message. 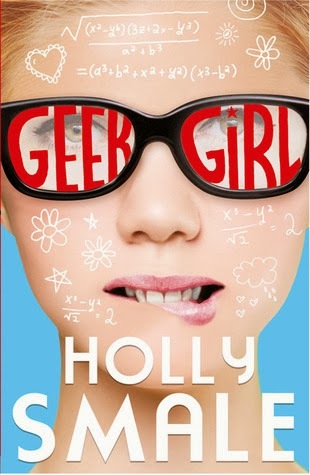 In some ways, the events of Geek Girl were over the top and a bit mad and not always entirely realistic, but I know that some of them did actually happen in Holly Smale’s life and I honestly didn’t mind that it was all a bit bonkers because it was funny and charming and a really enjoyable book to read. TL;DR Geek Girl is a hilarious and eccentric story with a loveable cast of characters and a very charming, very British feel. It, and Holly Smale, well deserve the oodles of sales and award nominations. Love your review. :-) I had similar feelings when I first when to pick it up (I also bought it when it was on sale...mainly because it was UKYA), but Geek Girl totally surprised me. Funny, charming, I loved the characters especially Harriet. I even went so far as to pre-order Model Misfit (Geek Girl #2) which I've already read & really enjoyed. 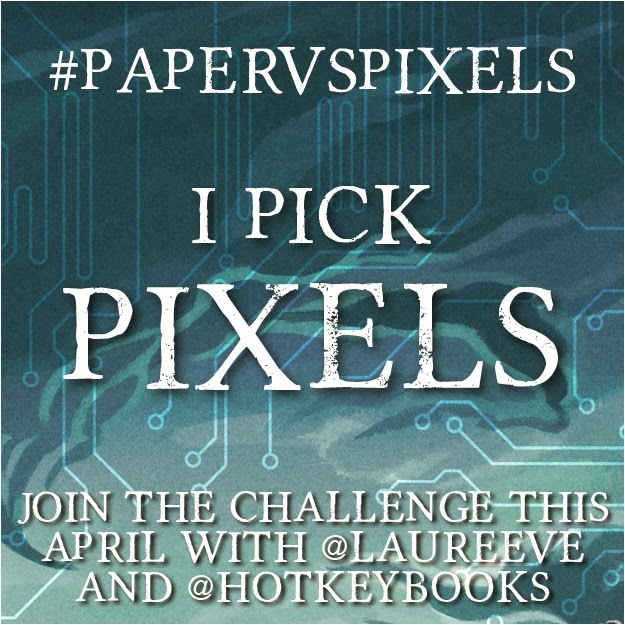 Roll on book 3! Glad you really enjoyed this one Cait! What a wonderful review of it as well! I loved the idea that this book has so many issues it talks over without physically forcing it into your throat. It was a really nice way and I agree - it was incredibly hilarious! I am in the mood for a funny book. The last book I read that was truly hilarious was Beauty Queens by Libba Bray and that was ages ago. This sounds perfect! It is also nice to hear there is a strong family presence. I don't know why it feels like that doesn't happen often, but I like it when the characters actually get along with their parents (or that they are even in the picture). Wow, fun! I'm also the type of person who takes one look at a book or read the blurb and decide on the spot that it's not for me without even trying it. I probably would've passed this one by, too, if not for this review! I bet this one would be good for when I need a more lighthearted read among all the heavier subject matter books I read. I'm really glad this one worked for you, Cait. I LOVE those books that completely surprise you. "Geek Girl is one of the funniest books I have read in ages. I was reminded of reading the Georgia Nicholson books as a teenager and having my sister tell me off for keeping her awake at night from laughing "
I think so many people were surprised by Geek Girl! I had no idea how I'd feel about it either, but ending up enjoying it a lot and instantly recommended it to people. Everyone is raving about this! I missed it when it was on offer on Amazon and am really upset now. It sounds really cute! I follow Holly on Twitter too and she seems pretty awesome. Will definitely have to read this one day when I get the chance. Yey! I love that you read it after meeting the super nice, gorgeous and clever Holly Smale. Harriet is just as adorable as her creator and Geek Girl is such a british book. I agree- She deserves all of the recognition she is receiving.